Home needs TLC. Seller selling AS-IS. MLS#3495513. Rinehart Realty Corporation. 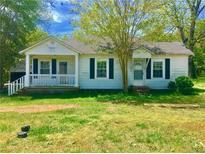 Turn key, 3 bedroom 2 bath All Brick Ranch Home, Quiet Country Setting, Stainless Steel Appliances, Totally Remodeled, You will have the option to have the back yard completely fenced in. MLS#3495145. Allen Tate Rock Hill. Well maintained split bedroom plan featuring a kitchen with granite transformation countertops, lots of cabinets and open layout. MLS#3495135. Ouzts Realty Company, LLC. Low HOA dues and close to I77! ! MLS#3495362. Keller Williams Fort Mill. With restaurants and shopping nearby, this house is in a great location and very accessible. MLS#3495356. Keller Williams Fort Mill. Great fenced backyard with extended patio. MLS#3495047. Carolina Realty Solutions. Carnegie Estates - This home is priced to sell so hurry to see it! MLS#3495087. Coldwell Banker Residential Brokerage. Could be easily split into two units for renting. A must see! MLS#3491028. RE/MAX Metro Realty. Wires workshop in basement for hobbies and crafts. MLS#3494439. Stephen Cooley Real Estate Group. Pennington Place - This home is a must see! MLS#3491730. Wilkinson ERA. Twin Lakes - Screened in back porch, and privacy provided by mature trees around the parameter of the front yard. Home is sold As Is. MLS#3494615. Coldwell Banker Residential Brokerage. Whispering Woods - Don't miss your chance to own an updated home AND acreage with endless possibilities just minutes from the city! MLS#3488344. Helen Adams Realty. Greenbriar - Home is priced to sell as is MLS#3493679. ERA Reeves Realty & Associates. This home sits on 2 lots-second tax map # is 540-03-01-033. MLS#3493148. Stephen Cooley Real Estate Group.